What a fantastic day! So pleased that everyone made it to the summit of Blencathra. Another divided walk – and our group had a great view of the other team scrambling up the exhilarating ascent via Hall’s Fell Ridge. We were there to applaud them and I felt very proud of them! The weather has been incredible – I am so relieved when I think of how wet and windy October in the Lakes could have been. Instead it has been almost unreal – so still and beautiful. We had a great house concert last night… I had a text from Benji Kirkpatrick, who couldn’t be there, saying that in his absence someone else needed to take over the telling of dreadful jokes on stage. As it turned out, this role was embraced by Lindsey! Big thanks to Graham and Vanya for sharing their house with us – it’s been a treat. 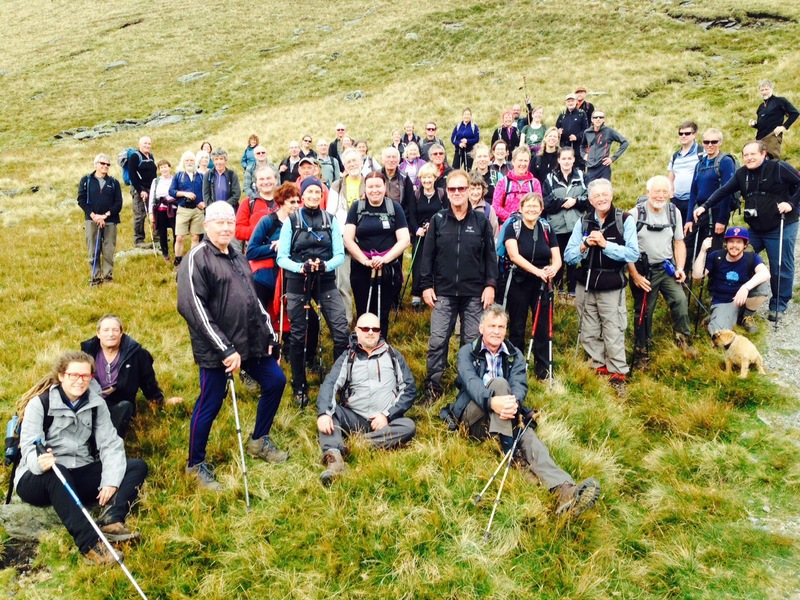 Now the mood is exuberant as both groups of walkers are together, heading downhill …. towards the pub!